The UAE recorded a three-year high in export orders. “Employment was broadly unchanged in July, with the index barely above the neutral level at 50.2. Year-to-date, the employment index averaged 50.8, compared with 51.2 in the same period last year, and indicating even weaker job growth in the UAE’s non-oil private sector this year relative to 2017. Backlogs of work increased sharply again as a result of the strong rise in new orders (and flat employment), although the rate of increase in backlogs was softer than in June,” she added. “While input cost inflation remained relatively modest in July compared with earlier this year, firms continued to lower average selling prices, with output prices declining for the third month in a row. The continued squeeze on firms’ margins is likely a key factor in the soft employment survey, as firms remain under pressure to contain costs and boost efficiency. 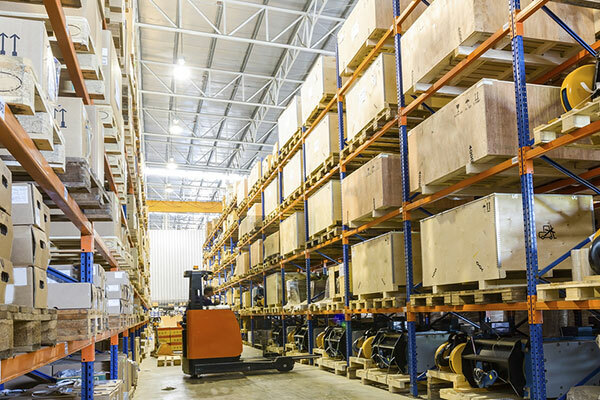 “Purchasing activity accelerated slightly in July but the actual stock of pre-production inventories was unchanged from June, which suggests that firms may be becoming more efficient in their inventory management. Overall, businesses remain very optimistic about the coming year, with more than 60 per cent of respondents expecting their output to be higher in year’s time. However, this is lower than the May and June surveys,” she concluded. The UAE PMI Index remained well above the neutral 50.0 mark, however, signalling a sharp improvement in business conditions across the non-oil private sector in July. The latest expansion was broadly in line with the average seen in the year-to-date. Although output growth eased to a three-month low in July’s survey, the pace of expansion was sharp overall and well above the series’ historical average. Businesses in the non-oil private sector frequently noted that strong demand for goods and services led to higher output requirements. New orders from abroad increased at the sharpest pace in three years during July. Many firms linked the improvement to a stronger demand climate in neighbouring GCC countries and Europe. In terms of overall new orders, growth eased to a four-month low, but remained solid in the context of historical data. Reflecting robust inflows of new orders, backlogs of work increased at a steep pace during July. However, the rate of growth was slower than in June. Despite higher levels of work outstanding, firms hired additional staff at the slowest pace in over two years. On the price front, the rate of input cost inflation remained muted and below the historical average. Purchase price inflation accelerated fractionally in July, whilst staff cost inflation softened to a 14 month low. Promotional activity and intense competitive pressures across the UAE’s non-oil private sector led firms to reduce their selling prices for the third month running in July. The rate of decrease was moderate overall, although faster than that recorded in June. Business confidence eased slightly from the survey-record high recorded in June. That said, the degree of optimism remained strong overall and the fourth-highest in the series’ six-year history. “The PMI survey showed both output and new orders increased sharply last month, although at a slightly slower rate than in June. However, once again the year-to-date average for both series indicates much softer growth than for the same period in 2017. Employment increased modestly in July, as did new export orders. There is very little evidence of wage growth in Saudi Arabia’s private sector, with the staff costs index at 50.3 in July, similar to the prior two months,” she added. “While input costs continued to rise in July, the rate of increase was slower than in July. The vast majority of firms kept selling prices unchanged last month, although the output price index was fractionally below the neutral 50.0 level. The backlogs of work increased sharply in July, with some firms attributing this to delays in ongoing projects. “Firms saw inventories rise at the fastest rate this year in July, which may indicate some optimism about improving demand in the near term. More than 18 per cent of respondents expected their output to be higher in 12 months’ time, down from more than 40 per cent earlier in the year. Given the sharp rise in actual output and new orders in June and July, it is reasonable for expectations to be more modest going forward,” Haque concluded. The Index remained broadly in line with the two-year trend, and above the average seen since the VAT introduction at the beginning of the year. Non-oil private sector firms in Saudi Arabia continued to report marked growth of output in the latest survey period, although the rate of expansion cooled fractionally since June. Survey respondents linked higher activity to solid inflows of new business. Despite marked growth of output, businesses reported the third-sharpest build-up in backlogs of work in the survey’s history in July. Some firms noted delays in ongoing projects, leading to an increase in work outstanding. Total new order growth remained marked in July. The expansion extended the current phase of growth to three months. Furthermore, foreign demand continued to improve. Some firms noted an increase in orders from neighbouring GCC countries. Despite a continuation of robust business conditions and rising backlogs of work, job creation in the non-oil private sector remained historically subdued. July’s increase in employment was only slight overall, matching that registered in June. The latest data indicated a softer increase in average cost burdens in July. Reflecting easing input price pressures, some firms sought to increase client demand by offering price discounts. That said, output charges only fell fractionally overall.